View More In Scars & Wounds - Page 5. 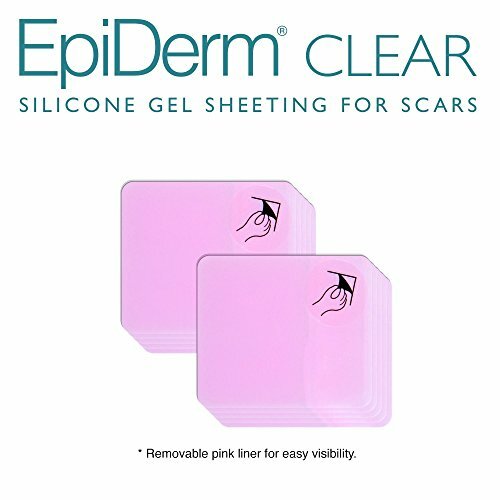 Epi-Derm silicone patches for scars are ideal for preventing and managing small hypertrophic and keloid scars. Patches can be cut to size. Ideally dimensioned for small keloid and hypertrophic scars. Available in original, Epi-Derm clear OR fabric lined Epi-Derm Natural. The most comfortable silicone sheeting in the industry! Significantly thinner than competitors, allowing Epi-Derm to conform precisely to body contours. Clinically proven to reduce, flatten, fade and smooth scars -- both old and new. FDA Class 1 medical device used in hospitals and clinics. If you have any questions about this product by Epi-Derm, contact us by completing and submitting the form below. If you are looking for a specif part number, please include it with your message.